In order for our clients to feel most secure and have true peace of mind, we’ve created an assessment that discloses all the vital information ABC Nanny Source needs to offer classy and qualified in home child care providers! This process starts with our detailed registration form! Upon completion of it, our Placement Counselors will be in touch within two business days. When we initially speak, we will evaluate your preferences and your family’s needs; then creating a detailed description of what you're looking for in an in home child care provider. 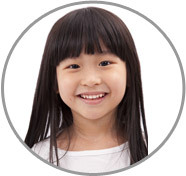 We will draw a clear picture with factual information about your childrens ages, activities, your desired hours, scheduling, allergies and medications, transportation expectations, and pet care. An ideal starting date for your nanny will help us to narrow our initial search. As we collect the necessary information, and take into consideration all circumstances, our Placement Counselor will provide you with the finest candidates matching your specific requests. She will guide you through the process with confidence and joy! Our entire team is here to see that your experience is exemplary. You’ll be informed, updated, and presented with the details of our fees and services. Our relationship with you is the key to opening the best door to your perfect nanny! The next step towards the goal is an authorization of your credit card. This will finalize your registration. and initiate the vetting process for the perfect nanny! ABC Nanny Source keeps nannies within a thirty minute radius of their home and yours for everyone's convenience; many times this works in your benefit and guarantees the nanny is familiar with the local community. Our placement counselors are far beyond diligent searching within the parameter of your needs and preferences, while accessing our portfolio and databases. Everything from experiences, skills, certifications, type of vehicle, and precise location are all taken into account to find your ideal match! After sincere consideration your placement counselor will present three to five profiles of nannies that have fit your criteria and a paragraph highlighting her credentials, specialties, and character qualities! Your nanny candidate will have also provided a description as to why she’s chosen to be a professional nanny! In her profile we include her verified reference statements, and a recommendation of pay based on credentials, experience, and the position requirements. Upon hiring your chosen candidate, ABC Nanny Source verification department will provide you with an electronic profile containing CPR certification, MVR report, criminal background reports, and a social security verification trace for added security. We are swift in our process; you will receive all of the appropriate information immediately. Generally, our clients will receive profiles within a few days of registration! Change your families perspective today! Contact An ABC Nanny Source Placement Counselor!